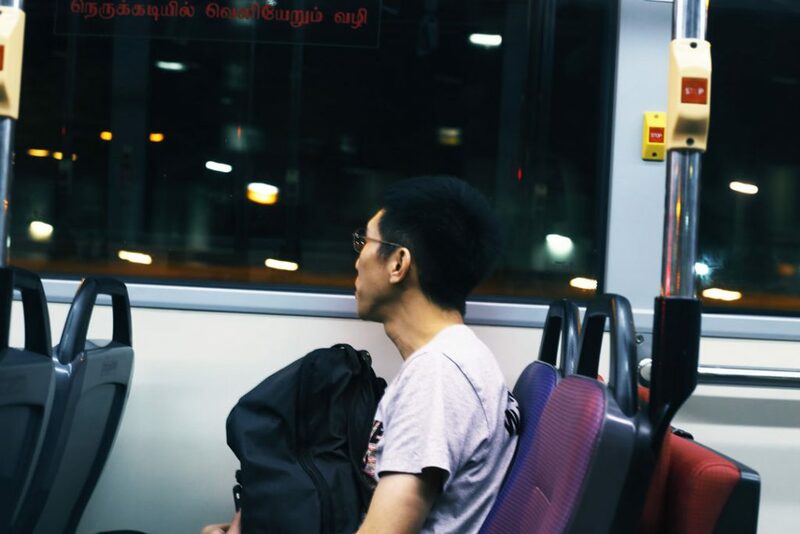 It is just past midnight when 28-year-old Loke Karuppasamy boards bus NR6 outside Vivocity. 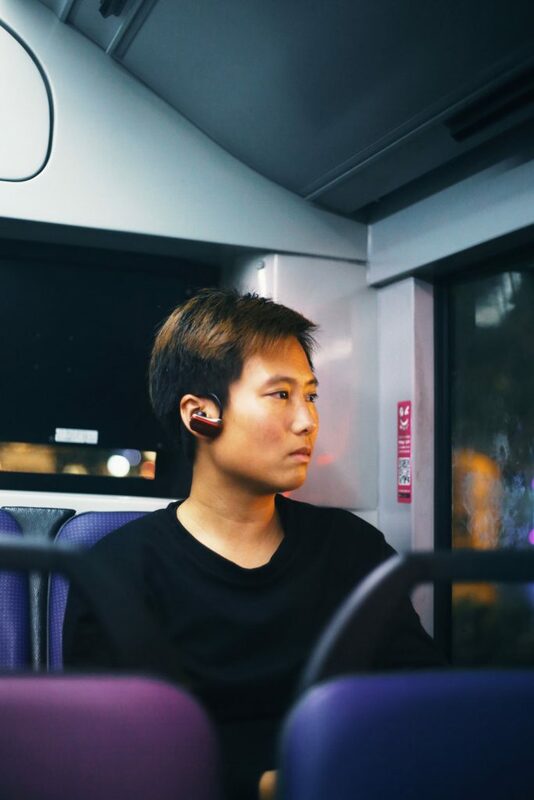 Whenever he needs to think, Loke takes a long bus ride during off-peak hours and alights once he’s done sorting out his thoughts. 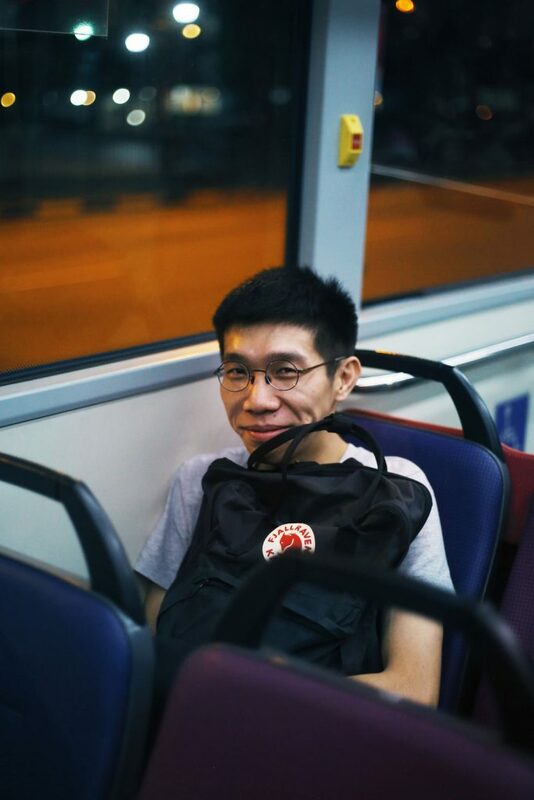 He likens bus rides to therapy with two words: ‘cathartic’ and ‘clarity’. Tonight, however, he is simply going home after a fun night with friends. Home is Sengkang, the final stop on the NR6 route. The streets are bathed in yellow—then blue, red, and green as we drive by the neon lit signs of bars with their last occupants stumbling out in a daze. Save for the occasional car speeding past our bus, it’s a quiet Friday night. 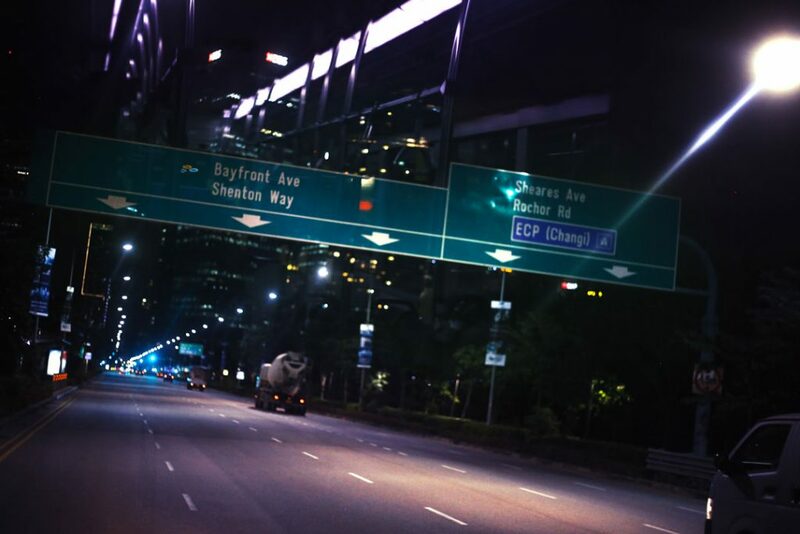 Singapore feels different past midnight. It’s as though a high-strung city relaxes its grip when the clock begins again at 0:00. 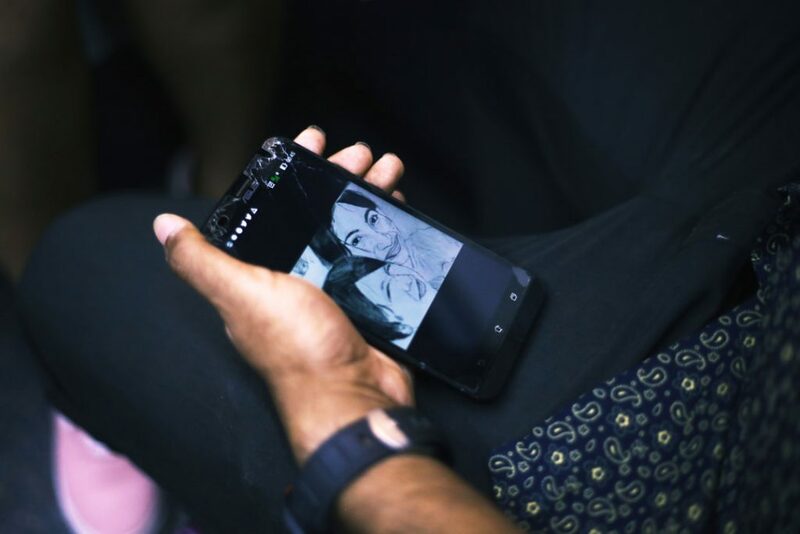 Loke's phone is filled with his drawings. After tapping his EZ-link card, Loke picks the seat just behind the driver. He settles into a comfortable slouch and stares out the window. “I’m an introvert, so I like to be alone. I think a lot on long bus rides. I’m also an artist. Here, let me show you some drawings,” he quips, before whipping out his phone. I hope this ride provides Loke the clarity that he’s searching for when it comes to his next painting. Apparently, it will be a woman made out of musical notes. He calls it the Musical Lady. It’s fascinating to observe fellow commuters in a confined space. A few choose to nap, but most listen to music. Some stare out the window, unguarded faces betraying thoughts. In between moments when someone rings the bell and breaks the spell, a fleeting intimacy exists among strangers in transit between two worlds. But Rao Ping doesn’t share this romanticism. 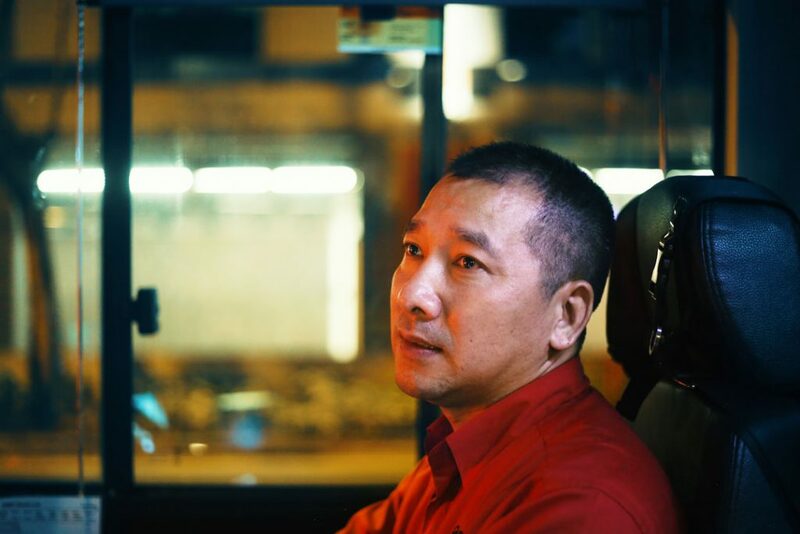 The 43-year-old, who has been driving for four years since arriving from Sichuan, Chengdu, has no time to appreciate the melancholy of a long bus ride. Throughout our brief conversation, he is alert and sharp, a stark contrast to the increasing weight I feel on my eyelids. How is he not bored? Surely even Marina Bay Sands gets old after seeing it every day. “I’m contented in Singapore. 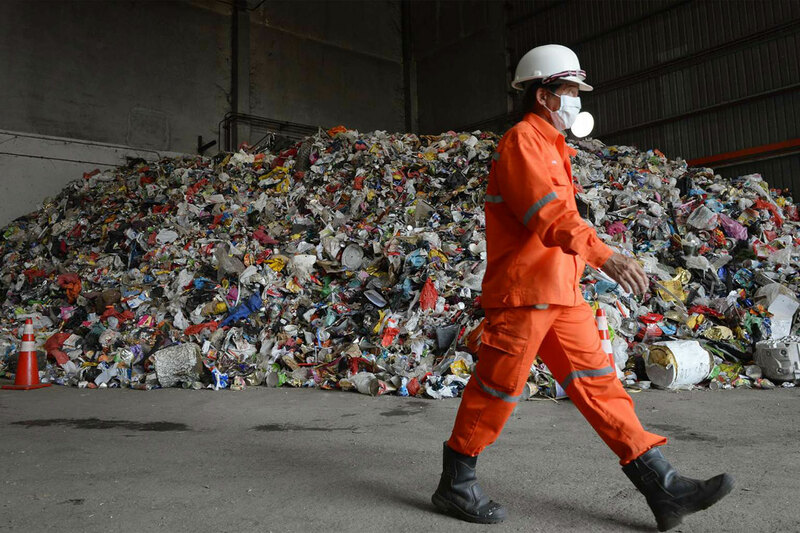 When you love what you do, it’s easy to stay happy,” he says with a smile, signaling the end of our conversation so he can return to concentrating on the roads. Rao Ping doesn't always drive a Night Rider. He also does other routes during the day. Someone flags down the bus. “No,” Rao Ping answers, before rattling off a list of buses that do. 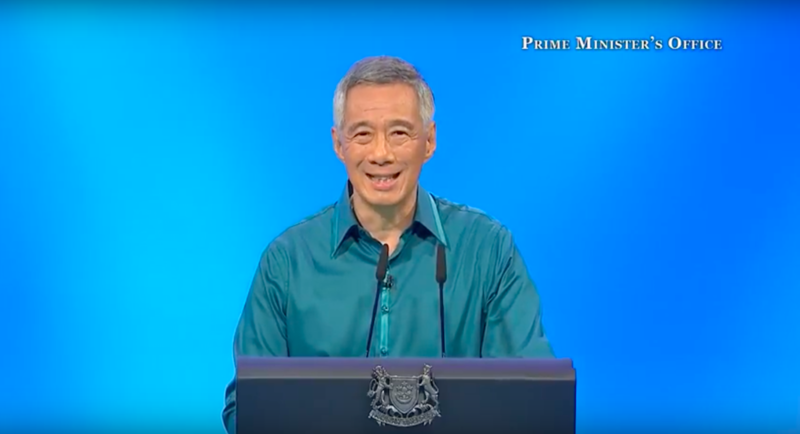 The China native knows many parts of Singapore better than I do. 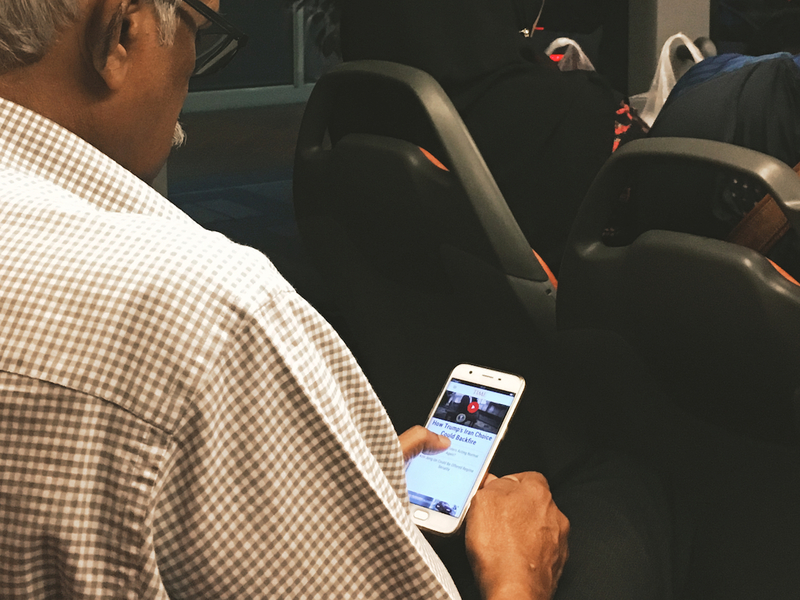 Sherine goes everywhere with her trusty companion—her MP3 player. 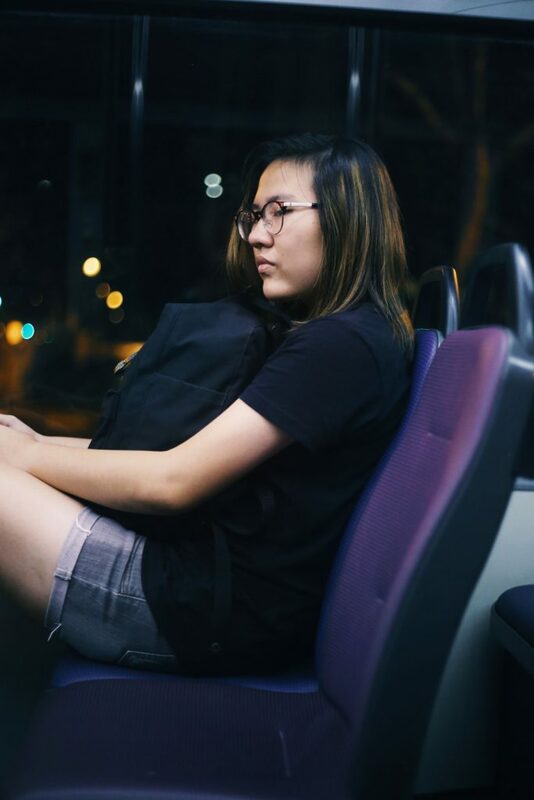 For many, winding down with a long bus ride is the only way to get a pocket of uninterrupted alone time. She jokes that you definitely can’t take a lazy bus ride in the morning traffic. The last time Sherine took a regular bus, someone threw up while on it. Tonight, the other passengers seem unlikely to inconvenience anyone else. They’re all in their own world too. Jason is naturally friendly and chatty, even at 2am. We pass by central Singapore, when Jason Ho boards the bus after hanging out with his secondary school friends. I quickly learn that the freelance actor has just filmed the sequel to local horror hit 23:59, slated to be released in January next year. He hopes it will help his career take off. He's in no rush to get home. This feels significantly more personal and revealing than when he’s talking about his career. Vanessa (pictured) and Ashley just finished supper with friends. As we near Serangoon, Vanessa Liang and Ashley Seow board the bus. It’s their first time on a Night Rider, which they didn’t even know existed before this night. I ask if their parents mind that they’re out so late, and they share a look that I know too well from once being a teenager. We finally arrive at Sengkang, where I alight mildly disoriented. There’s something jarring about having strangers share their thoughts with me against the dull interior of a Night Rider. Many of us brush against people every day on our cramped commutes. Despite a lack of personal boundaries, we maintain an unspoken barrier, choosing to occupy ourselves with our phones or the scenery. A chasm exists even between two people next to each other. But tonight, each 15-minute conversation attempts to bridge the gap. It creates a brief and almost reluctant intimacy, one that results in a nakedness keenly felt by everyone involved.